INTERNATIONAL racing will return to South Australia, with confirmation that the Asian LeMans Series will hold a round of their 2019/2020 series at The Bend Motorsport Park. The Asian Le Mans Series is the Asia Pacific endurance racing series of the Automobile Club de l’Ouest, (ACO – the founder and organiser of the famed 24 Hours of Le Mans). The Series will make its first trip down under in early 2020, bringing the thrill of international endurance racing to the Australian public. Located approximately 100km from Adelaide, the capital of South Australia, The Bend is Australia’s newest permanent circuit. The Asian Le Mans Series will be the first series to use the full 7.77km configuration. This configuration makes it the second longest permanent race track in the world, second only to the Nordschleife, Nurburgring. With tight, technical corners, fast flowing sections, and a rise and fall of 85 metres, exciting racing is guaranteed. With a top speed of 343.4 km/h recorded in the LMP2 class in the 2018 24 Hours of Le Mans, it is safe to say the lap record on The Bend circuit will be broken. 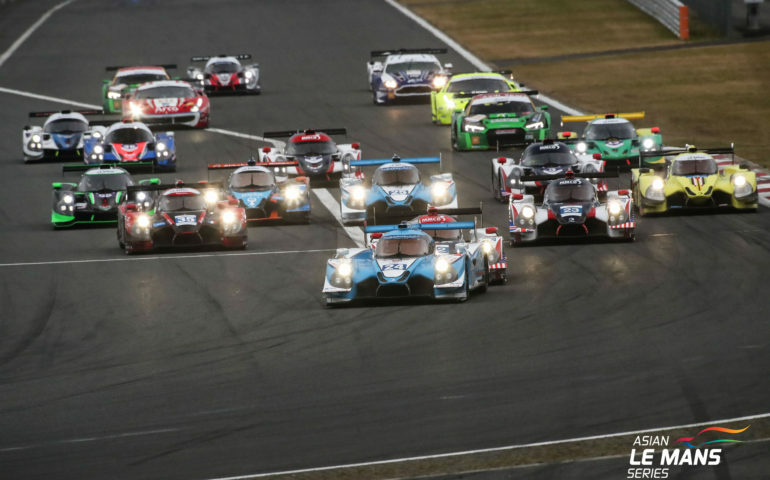 Outside the Formula 1 cars, the LMP2 cars at the front of the Asian Le Mans Series will be the fastest to compete in Australia in 2020. South Australia had a taste of prototype racing when American Le Mans Series teams participated in the one-off Race of a Thousand Years on the Adelaide street circuit on 31st December 2000. This time, 20 years later, the event will be a part of an international Championship, and it promises to deliver thrilling racing. With a world class live streaming broadcast package reaching over a million viewers each race, the arrival of the Series is also an opportunity for South Australia to once again be put on the international motorsport stage. “We had been considering an expansion into Australia for quite some time, but we needed to find the right opportunity. I visited the Bend last year and was blown away by the high standard of the track and the facilities. This, along with the enthusiasm being shown by the circuit management team, made it an easy decision. “Australia has an exceptional reputation for delivering world class motorsport events, so we are really looking forward to visiting The Bend with the Asian Le Mans Series. We are used to seeing Australian drivers such as Mark Webber race in the 24 Hours of Le Mans. Racing with us will give Australian drivers and teams the opportunity to progress to the highest level in the 24 Hours of Le Mans. “The Asian Le Mans Series is the pinnacle of international endurance racing, and we are very excited and proud to bring the event to Australia and to continue to showcase Tailem Bend and the surrounding region to the world.